Make A Memorable FIRST Impression with Your Website! We’ll work with you to customize the colors, photos, logos and other artwork for your website to build an experience consumers will love. WE BRING IN THE EXPERTS. Our Web design pros work with you to design a site that’s optimized for your business needs. We provide years of experience, a dedicated team and diverse experience across all things digital. WE DON’T CHARGE FOR CHANGES. 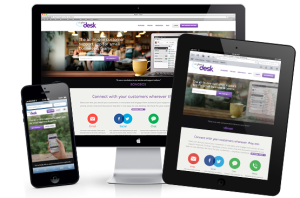 Your website will look great on both desktop and mobile devices, meeting the needs of consumers whenever and wherever they shop.